Happiness can come from simplistic, seemingly meaningless moments which create a sense of joy inside of you, even when you just think about them. 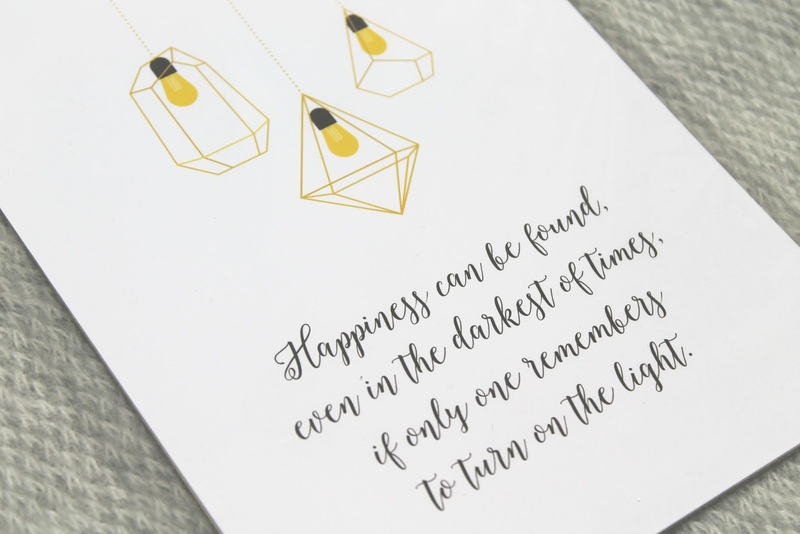 It's easy to get bogged down thinking about the not so fantastic things that you can face in life, but that makes it even more important to remember and focus on the lovely little things that bring you happiness. r Sharing funny YouTube videos with my boyfriend and belly laughing together. r When someone says 'I saw this and thought of you'. r The feeling of someone playing with my hair. r Being in the arms of a loved one. r Late night drives with my headphones in. r Being hugged from behind. r Long phone calls with loved ones. r The feeling of having freshly washed hair. r Nights in with my family, with a takeaway and a film. r Looking down on the world out of a plane window. r Sleeping in fresh sheets. r When you find a new book you just can't put down. r Unexpected discounts at the till. r Finding that perfect spotify playlist. r Having a nosey at houses I could never afford for sale/rent online. r Seeing family and friends after a long time apart. r Going for a pint in the pub with my Dad. r The feeling of cuddling a teddy bear, even when you're a fully grown adult. r Seeing snow for the first time that year. r Wearing a new outfit for the first time. r The smell outside after it rains. r Having my hair played with. r When someone remembers seemingly unimportant things you've said. r Having a nosey around a bookstore. r Getting into bed after a long day. r Seeing streets lit up with Christmas lights. r Creating a blog post I'm particularly proud of. r Making plans for the future. r Seeing an engagement/baby announcement. r Watching trashy reality TV. r Jumping into a warm swimming pool. r Waking up early and being the only one awake. r Eating out at restaurants with loved ones. r Hearing the words 'I Love You'. r Seeing people reunited with loved ones at the station/airport. r Looking back through old photo albums. r Songs which instantly boost your mood. r Starting a brand new notebook. Let's all find joy in the ordinary. What simplistic things bring you happiness?